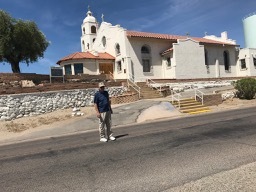 Today was a day to tour some historic areas around Yuma..a 60 mile drive on IH 8 East. 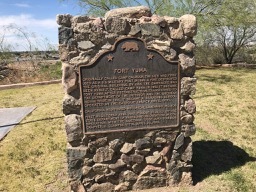 Our first stop was Fort Yuma located on the Colorado River in California across from Yuma,AZ. 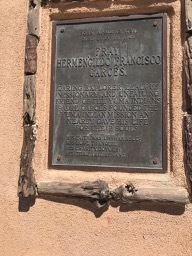 It was on the Butterfield Overland Mail route from 1858 until 1861 and finally abandoned in 1883 and transferred to the Department of the Interior. 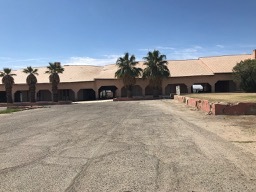 The site is now occupied by the Fort Yuma indian School and Saint Thomas Yuma Indian Mission. The Tribe is known as the Quechan. 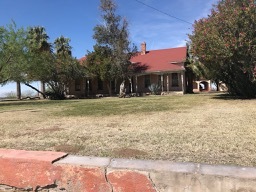 The original fort located in the bottoms near the Colorado River and constructed in 1848 to defend the community of Yuma. 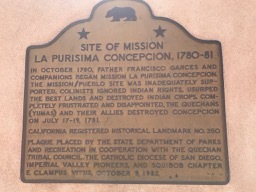 In 1851 it was moved to its present location on a site occupied by Camp Calhoun to protect the southern emigrant travel to California and to control the Quechans. 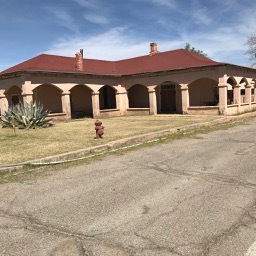 The name was changed to Fort Yuma in 1851. 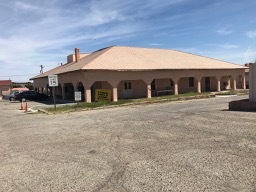 It was later abandoned that year due to high costs of maintenance and the commissary was void of provisions. In 1852 it was once again occupied. Again it was difficult to receive provisions until the steamboat Uncle Sam arrived carrying cargo up the Colorado River delivering 32 tons of goods. In 1877 the railroad arrived in 1877. From 1858-1861 the Butterfield had a stagecoach station near the fort. During the Civil War the Union retained control of the Fort. Most of the buildings have fallen into deterioration and not accessible. 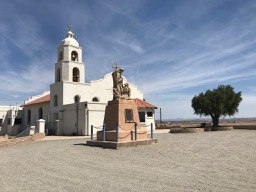 Adjacent to the fort is St Thomas Church formerly Mission de Parisima Conception. 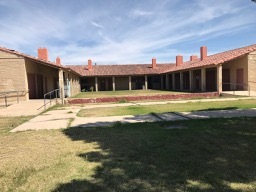 Within site of the Fort and Church across the Colorado is the Yuma Territorial Prison. I will write a separate blog on this.